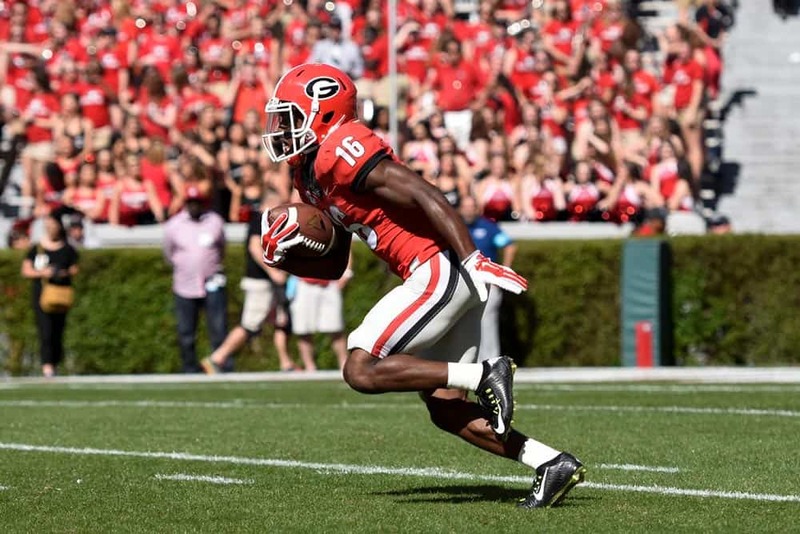 UGA junior return specialist Isaiah McKenzie has been named to the 2016 Paul Hornung Award Watch List, the Louisville Sports Commission announced on Friday. 43 college football players nationwide were named to the list, six of whom hail from the SEC. The Paul Hornung Award, named after football legend and Louisville native Paul Hornung, is an annual award given to the most versatile player in college football by the Louisville Sports Commission. The winner will be presented the award at the annual Paul Hornung Award Banquet presented by KentuckyOne Health in Louisville in February 2017. McKenzie, a native of Miami, Florida, has captivated Bulldog fans with his speed and shiftiness. In two seasons in Athens, he has four punt return touchdowns and 447 yards total and one kickoff return touchdown with 349 total yards. On offense, McKenzie has rushed 18 times for 195 yards and two touchdowns. He also has 16 receptions for 190 yards.